Most of us can handle the things needed to be done on the inside of our houses, but what about the outside? How many have the time, supplies, ability and, frankly, the desire to wash your house or deck or driveway? More often than not, these chores fall by the wayside and don’t get done. But things don’t have to stay that way. 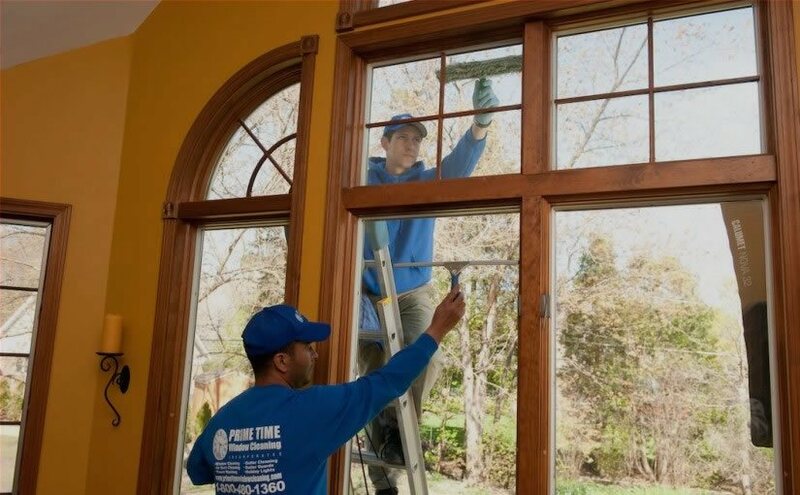 With over 20 years of experience providing window washing services in Chicago, Prime Time Window Cleaning can handle those bothersome but essential chores for you. In fact, we can give you three great reasons why you should allow Prime Time Window Cleaning to provide home washing services for you. 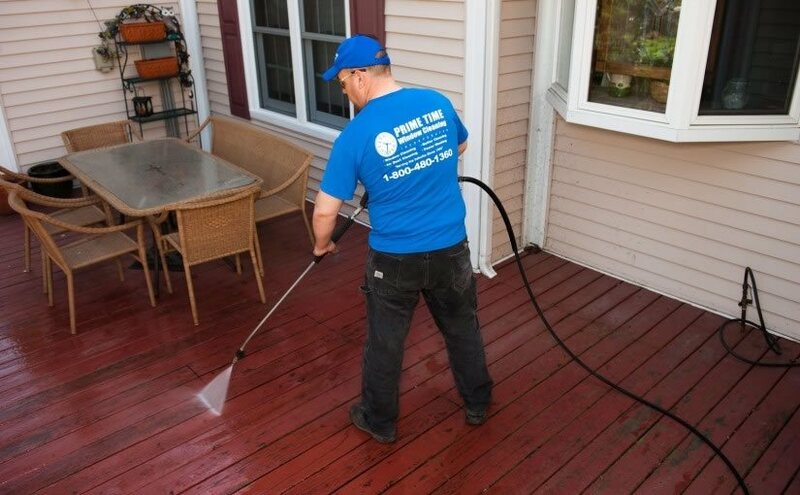 Curb appeal – Pressure washing is an effective way to increase the curb appeal of your home, a crucial factor if you’re in the market to sell. According to the National Association of Realtors, when a prospective buyer sees a property, the initial curb appeal sells 49% of those properties. And professional Real Estate Appraisers claim that outstanding curb appeal can add up to 10% to your property value. So pressure washing offers the potential for a substantial return for a relatively small investment. Professional window washing services will also do wonders to increase the curb appeal of your home. Clean windows will let in more light and give the home a less lived-in feel, perfect for potential buyers! Unsightly mold, mildew and algae – If you see black or green streaks on your roof and siding, there’s a good chance that’s not simply pollution or dirt but mold, mildew and algae. Left untreated, mold can damage your property and is harmful to your family, pets and landscape. Mold and algae spread rapidly and feed off moisture and organic matter. They creep into siding, gutters, fascia board, foundation and attic. But your problems are treatable, and Prime Time Window Cleaning can help you deal with these pests. Avoiding a pressure washing nightmare –. Many do-it-yourselfers run into substantial problems when they try to save money cleaning their roof, deck or driveway. The most common mistake of amateurs is applying too much pressure, damaging your roof or siding or carving up your wooden deck. Using too little pressure just makes everything wet and doesn’t remove any stains. Our highly trained professionals have the skill, machines and chemicals to do the job to perfection, no fuss no hassle. So add to your home’s curb appeal, preserve your property and avoid unsightly damage by hiring the professional washing services of Prime Time Window Cleaning. Email us or call us at 800-480-1360 for a no-obligation estimate on your home washing needs in Chicago. And remember we won’t quit working until you are entirely satisfied.